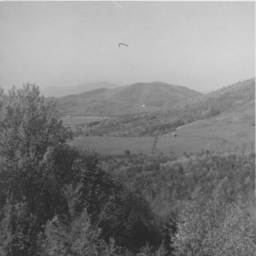 Photograph taken by William Hoyle Garber showing an unidentified landscape. 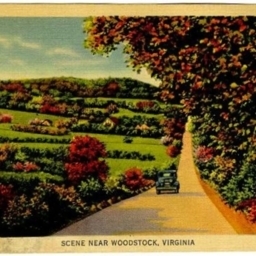 Color postcard image showing a vehicle driving on US Highway 11 surrounded by area landscape. 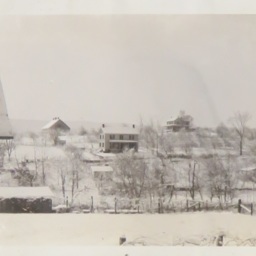 While the exact location of this image is unknown, the caption states it is near Woodstock Virginia.